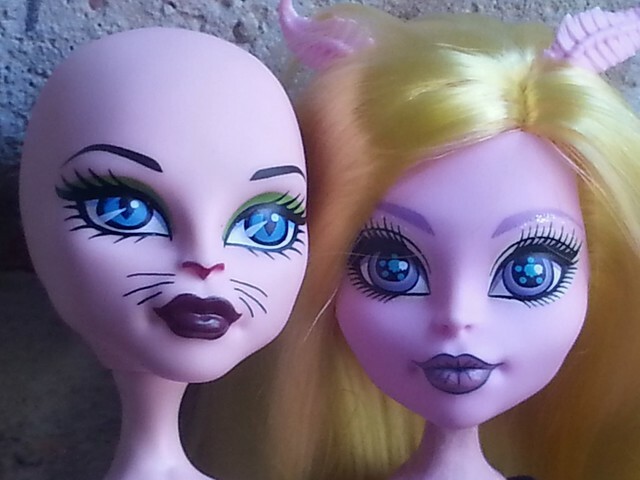 As promised….I took a look at my Bonita and some of my 'pink ghouls'…. Good luck! 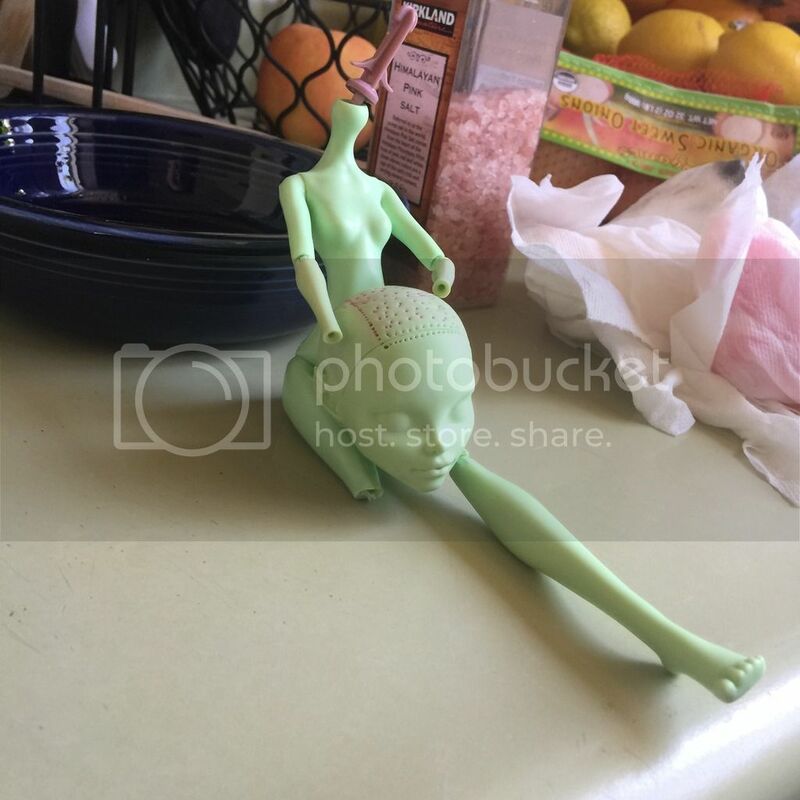 Post pics of what you end up doing with your Bonita! Bonita is a pink that has a lot of blue/purple - almost a Pepto-Bismol type pink. I love her color, but it wasn't an exact match for any that I have. The CAM vampire isn't even close, too pale. Gigi is OK, but she's got a more peachy/orange tone (in the reboot one I compared, an older one might be different?). The cat CAM is probably the closest, but again is more of a peachy-pinky color, without the blue/purple tones. Gigi's pink is more orangey than the cat CAM. Kjersti is darker and also shimmery, from what I can tell - my Kjersti is currently still in-box. So depending on what your preferences are, the cat CAM would be a little light and not an exact match but maybe OK. Kjersti is darker and also has the shimmer issue. Wow thank you for taking the time to do that for me I think I will try to find a cat cam and try it out see if it will work. thanks again ! In a past lot I bought from eBay and it included a Bonita femur body and I just packed her away but now I have a plan for her but I need to find a head for her I haven't been able to find any Bonita femur heads so I have been looking for a different head someone said the dracubecca was a match but her skin is to summery ... Gigi is close but , can anyone tell me how good a cat cam pink head matches? Or is it too pink ? Kjersti is pretty close match too but haven't found a head of hers too. 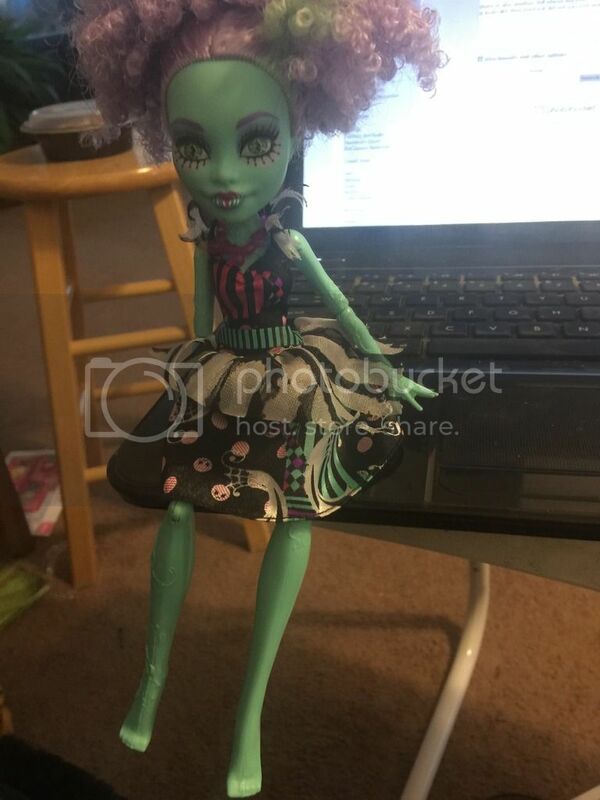 Can someone tell me a match to Bonita femurs body , I got a headless one out of a ebay lot I got once , someone in the post a while back said dracbecca but her face is to shimmery and light pink for Bonita femurs body . Any ideas? In a past lot I bought on eBay it came with a random Bonita femur body that at first had no intrest in, but now I feel inspired and was just wondering if anyone had a head of hers ? Oh that's great news , I found a gooliope at a thrift store and she needs shoes and now she will ... thanks for the response! I have a chance to get other 17" monster high doll shoes but will they fit each other's shoes? she looks great ! nice job. Customs / Re: How to give gil new hair?? Does any one have ideas on the best way i can give monster high doll gil hair ? thank you for the links, i may lean more towards a wig , but not sure how to make it. Customs / How to give gil new hair?? Not sure how to "fix" Honey, I'm afraid. She was designed that way to give her a wobbly, marionette feel. Every one of the dolls from that release has the wiggly legs. As for fixing Luna, are you looking to retain mobility? Or just fuse the leg into one piece? If the latter, you can use any glue that would fuse the plastic pieces (E-6000 for example), then cover the joint for extra stability with apoxie sculpt and paint it to match. can i use hot glue to fix her leg? TheStripeyCat documented her repair of a broken-legged Nefera a few years back. Cool , thank you I will definitely take a look. yea i think the only option is to glue and she will just have a stiff leg. thank you for the suggestions. As Honey is from the FdC line and is supposed to be a marionette, I heard her limbs are supposed to be loose. When I had a malfunction with a broken off leg, I just glued it back together. Doll still has her mobility, too. I think I used super glue. oh that would be awesome if she had mobility still, thank you . 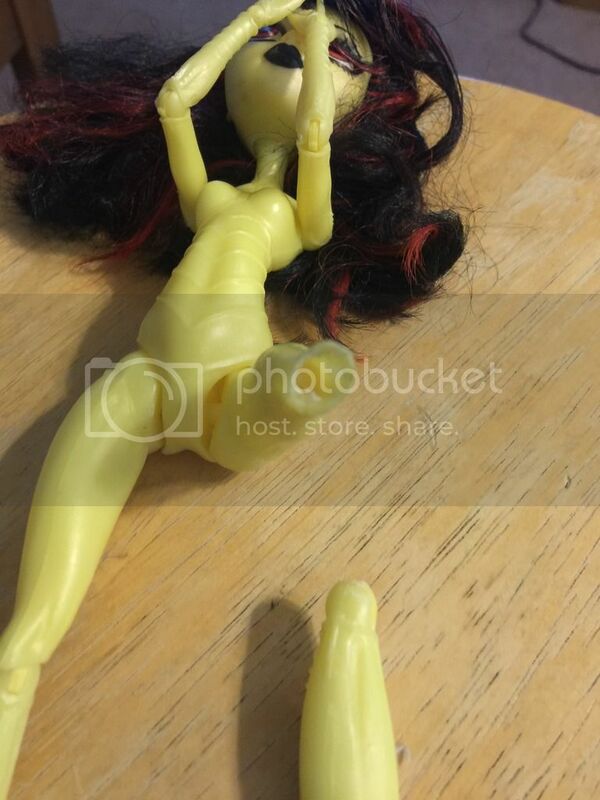 Just recently bought a mh doll lot on ebay and most the dolls need work. 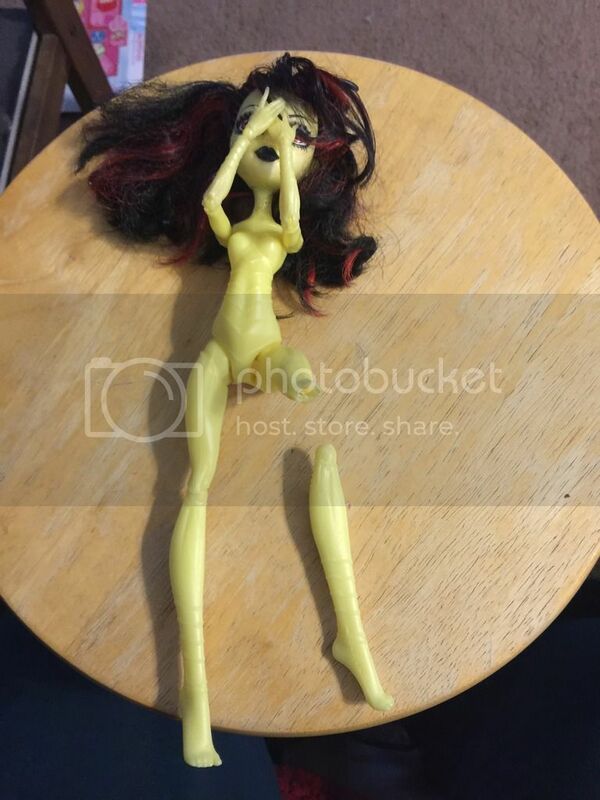 most i am not interested in helping , but one of the dolls i am she's the honey swamp doll from the freak du chic series and her knees are super wobbly , and was wondering if anyone has a solution on fixing that. there is also another doll whose leg from the knee is totally off what is the best glue to attach it because there is no fixing the mechanism it looks like they tried but did not succeed and had just tapped her leg back on. Customs / Re: Dfotw's accessory repaint - Updated 16/02/17 - Scarah mini!